This listing is for SILKY value fishnet dance tights available in Black. Two size options: Age 3-7 years fits and Age 7-13 years. 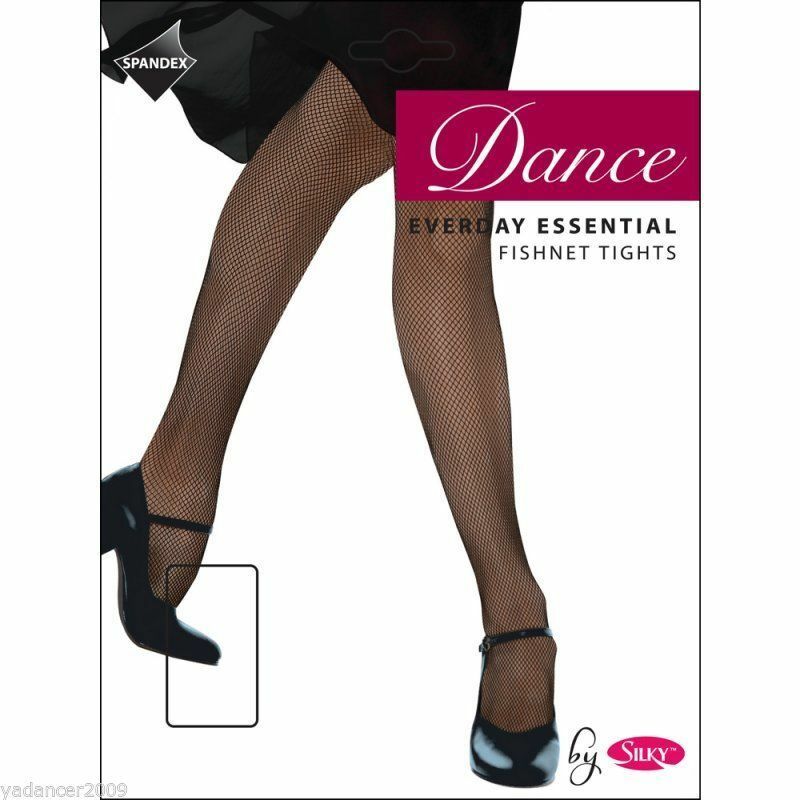 With this product, if dancer is tall or in between sizes then go for bigger size, for tall/older girls SILKY EVERYDAY ESSENTIAL FISHNET DANCE TIGHTS are available as a One Size adult option. The high spandex provides stretch and comfort for the wearer. The fabric content is 90% Nylon 10% Spandex. These tights have been introduced as a low cost, value item for a dance performance or show.